Exploring the less widely heard works by one of the best known and best loved of all film composers, this excellent four disc collection features the soundtrack to 1964's Zulu, the score to a 1963 US TV documentary titled Elizabeth Taylor In London (featuring Taylor herself reading poetry by Wordsworth and Elizabeth Barrett Browning, and speeches by Churchill, Queen Elizabeth I and William Pitt), a singles collection (including versions of Bond themes and lounge instrumentals) plus a revelatory document of Barry's first film score, Four In The Morning (1965), presented as both stereo-mixed instrumentals and the mono soundtrack, complete with dialogue (some of which is from a young Judi Dench). Each disc comes packaged in its own mini sleeve reproduction. 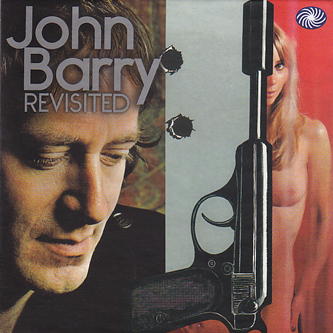 "Born 1933, John Barry is one of the best known composers of film music in the world. He commenced his pop music career leading The John Barry Seven, most notably backing Adam Faith. Barry made his name with his scores for the James Bond movies, for which he was awarded the GoldenEye award in 2002, courtesy of the Ian Fleming Foundation. He went on to score many notable soundtracks, including the following award-winners: "Born Free" (1966, two Oscars), "The Lion In Winter" (1968, Oscar), "Midnight Cowboy" (1969, Grammy), "The Cotton Club" (1984, Grammy), "Out Of Africa" (1985, Oscar, Grammy and Golden Globe) and "Dances With Wolves" (1990, Oscar and Grammy). In 1999 he was awarded an OBE for services to music."